The adrenal glands, located on the top of each kidney, manage our body’s stress response. If pushed too far for too long, the adrenal glands can become over-stimulated and eventually over-exhausted. This can be caused by long-term physical or emotional stress, among other things. As with any chronic illness, the liver often becomes congested and the adrenal glands often become tired. At Advanced Health we work closely with patients to determine the underlying cause of these issues and define a personalized treatment that finally begins to reverse the imbalances. Dr. Payal Bhandari M.D. specializes in understanding the root cause of hormone imbalances. Dr. Harlan South M.D. and Dr. Lonnele Ball, PhD. specializes in optimize hormone balance through the use of bioidentical hormones. To learn more, book an appointment today! The adrenal glands, located on the top of each kidney, manage our body’s stress response. If pushed too far for too long, the adrenal glands can become over-stimulated and eventually over-exhausted. This can be caused by long-term physical or emotional stress, among other things. As with any chronic illness, the liver often becomes congested and the adrenal glands often become tired. 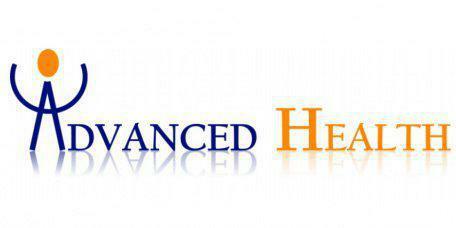 At Advanced Health we work closely with patients to determine the underlying cause of these issues and define a personalized treatment that finally begins to reverse the imbalances. Adrenal insufficiency occurs when the adrenal glands cannot produce enough of the stress hormones cortisol and aldosterone. These hormones are key for regulating blood pressure, metabolism, and our body’s stress response. It is important for something like our metabolism to be regulated because it determines how to use digested food for energy. If our bodies cannot properly use the energy they get from food, there is a domino effect, leading to physical signs of chronic stress and fatigue. Hormones like cortisol are also important for our immune system and help slow down the body’s inflammatory response. There are two types of adrenal insufficiency. Primary adrenal insufficiency (commonly known as Addison’s disease) is an extremely rare autoimmune disorder in which the body’s immune system slowly destroys the outer layer of the adrenal gland. Secondary adrenal insufficiency, on the other hand, is more common and develops in response to chronic stress. Under a chronic state of extreme stress, the adrenal glands cannot keep up with the hormone demands and become over-stimulated, leading to chronic fatigue. The symptoms of adrenal insufficiency usually begin gradually and can be easily missed. The first signs are chronic fatigue, loss of appetite, and muscle weakness. You may feel energized and tired at the same time. Cortisol levels may be high at night, leading to insomnia. As the condition progresses, you will start to feel more stressed and tired, with fluctuating sleep patterns. You may wake up at 3 a.m. unable to fall asleep again, and suffer through exhaustion all day, until you reach another peak in cortisol at night. Eventually your body will become so exhausted that you will burn out. Other symptoms like nausea, vomiting, and diarrhea are present in about 50% of cases. Since Adrenal Insufficiency causes chronic fatigue and stress on the body, it makes sense to address the lifestyle habits that have led us to that point. It is essential that you work with your doctor to come up with a personalized treatment plan. Call Advanced Health today regarding hormonal imbalances and how we help you get back on track.